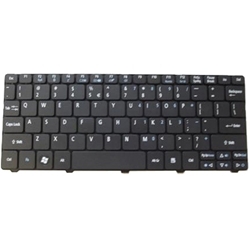 Description: New genuine Acer netbook replacement keyboard. This may be what you need if your original keyboard is missing keys or not working. This is the US version. Part #'s: KB.I100A.026, NSK-AS01D, 9Z.N3K82.01D, V111102AS1 UI, PK130AE2000, PK130AE3000, PK130AE1000.